UPDATE: This ebook is now available as a downloadable PDF on the Freebies page. 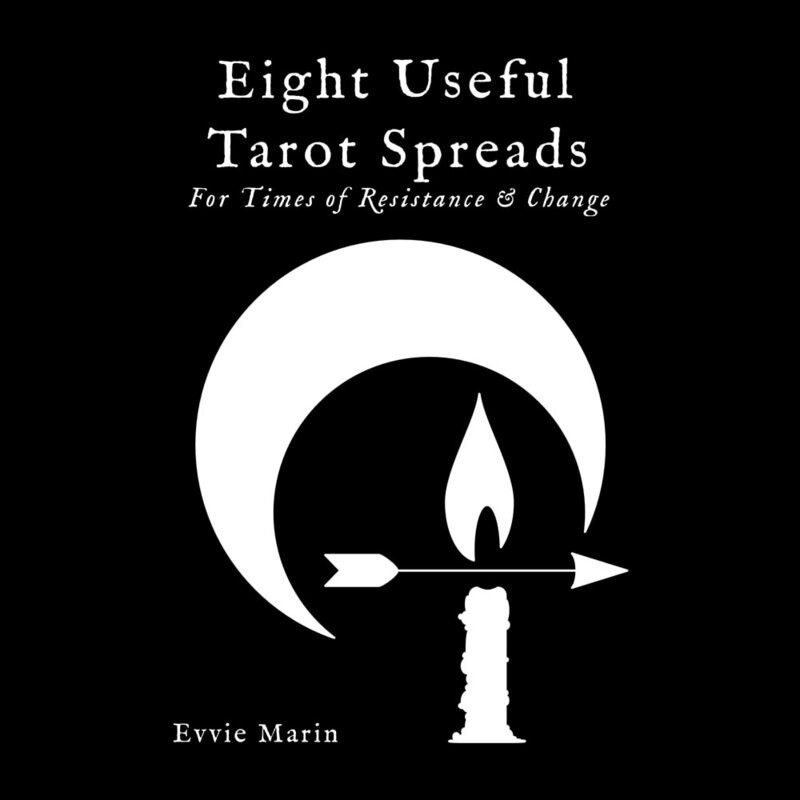 A collection of eight tarot spreads that lend themselves towards introspection and self-care in times of difficulty, resistance, and rapid change. I've released this eBook as a series of pages on my website to make it as accessible as possible for those who may find it helpful. This is a free resource, designed for the solitary tarot practitioner. You may use these tarot spreads for client work if you read for others, but I ask anyone using these spreads for paid work to make a donation through Paypal. Your donations go to improving this site and supporting me and my artwork, so I can continue to create projects like this. Find more information under the Copyright heading on the "How To Use This Book" page. Thank you for your support! Tarot is not a substitute for medicine, psychiatry, therapy, social work, trained counseling, or professional advice. If you are ill, grieving, or in distress, please seek help from an appropriate doctor or counsellor. For entertainment purposes only. Magic not guaranteed. By birthright, you inherit great creative powers, free will, and all the responsibility that accompanies these gifts. At your best, you are a mature, sensitive, and sensible being. You, and you alone, are fully responsible for your own actions, reactions, and decisions. Our lives play out in the intersection between choice, fate/contract, and chaos. This world is flexible, touchable, and constantly changing. Nothing is set in stone, and even if it were, stone is an unruly thing. Tarot cards can help you clarify your thoughts and generate ideas, but they cannot make decisions for you or tell you what to do. They may predict, but they don’t make things happen. They don’t seal your fate. These are good things. Thank you for your generous support! Your donations help keep this site running and improving, and allow me to keep creating art, ebooks, and articles for all my readers.